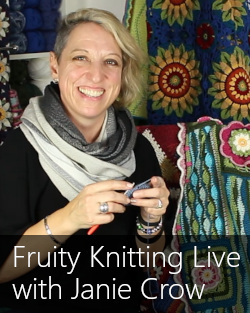 Jen Arnall-Culliford is our interview guest in Episode 46 of the Fruity Knitting Podcast. 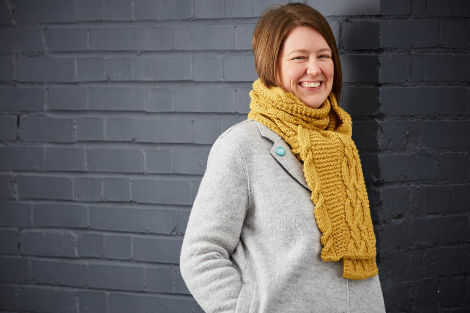 Together with husband Jim, Jen is the creator of “A Year of Techniques“, a clever program which leads knitters month by month through some of the more challenging knitting techniques using projects from leading designers. Jen and Jim are friendly, talented and witty and so this is a fun and informative interview. 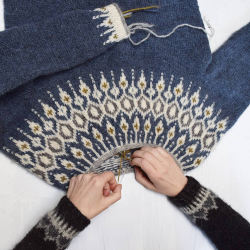 Joji Locatelli takes us through the design construction of her Ranch Coat in New Releases, and our guest on Knitters of the World is award-winning children’s author Elvira Woodruff. We also look at techniques for shoulder shaping, and take you to the heights of Mount Snowdon. Together, Jen Arnall-Culliford and her husband Jim have developed the program, A Year of Techniques. 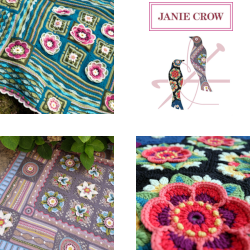 Jen Arnall-Culliford is a well-known and respected technical editor, having worked for The Knitter magazine and with designers such as Kate Davies, Gudrun Johnston, Mary Jane Muckleston and Donna Smith. However, Jen did not start her professional life in the hand-knitting industry. Jen studied Chemistry, gaining a postgraduate qualification, and went on to work as a teacher. When she felt it was time for a change of direction, she found that her qualifications in chemistry and her experience as a teacher gave her the skills she needed to be a technical editor. Husband Jim followed Jen into the industry, having absorbed enough of Jen’s expertise and enthusiasm to get a running start into learning the skills of the trade. 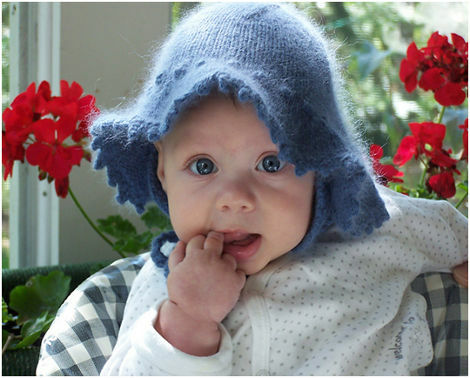 Jen and Jim now work together under the name Arnall-Culliford Knitwear. 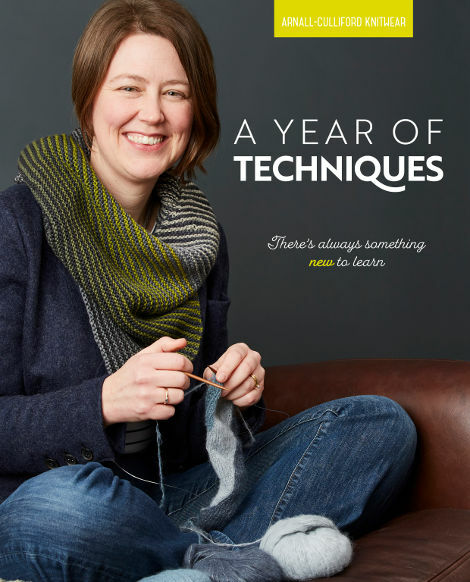 A Year of Techniques introduces the knitter to a new technique each month, with written instructions, video tutorials and a supportive online community. Each technique is accompanied by a pattern which uses the new technique. The combination of written and visual learning, together with a carefully chosen project provide a great structure for developing your skills across the course of a year. 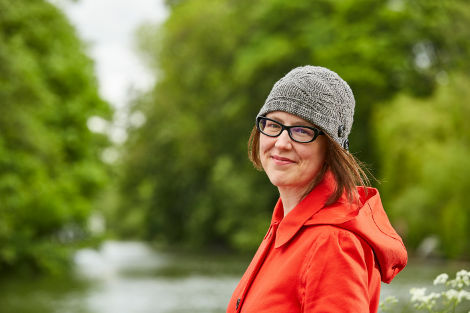 Patterns included in the course come from top designers, such as Sarah Hatton, Romi Hill, Tin Can Knits, Rachel Coopey and The Woolly Wormhead. 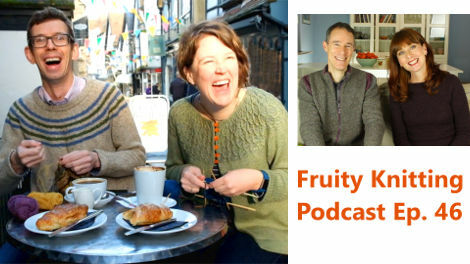 Jen and Jim are very kindly giving Fruity Knitting Patrons a 10% discount on everything in their online shop. This includes the book and yarn kits for their program “A Year of Techniques”, a great selection of knitting books and other knitting goodies. 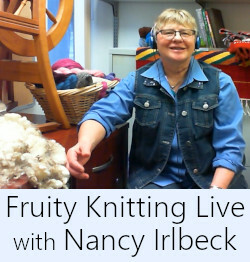 You can find full details on the Fruity Knitting Patreon page. We love Joji’s grand opus, the Ranch Coat, with its all-over cables and interesting construction, picking up stitches and working the front and back in a single piece. The coat was originally designed in the Madeleinetosh Ranch Wool, but in case that is not available, Joji does recommend other suitable yarns. You can find an interview with Joji Locatelli in Episode 15. Elvira Woodruff is best known for her children’s novels, which use adventure and fantasy to introduce young readers to significant figures and events from history. In “George Washington’s Socks“, a boat ride takes a group of young friends back two hundred years to the American Revolution. “Napoleon, I know you’re dead, but…” starts as a school letter writing exercise, but puts schoolboy Marty in touch with Lincoln, Edison and van Gogh. In “To Knit or Not to Knit“, Elvira turns her attention to knitters. 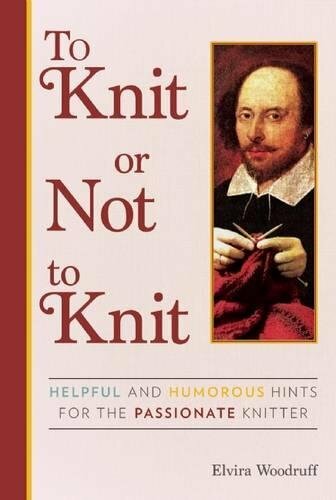 The book is written in the form of an advice column, with Mrs Wicks providing words of wisdom for troubled knitters. Mrs Wicks turns to the literary and artistic world of the past to provide support and inspiration for today’s crafter. 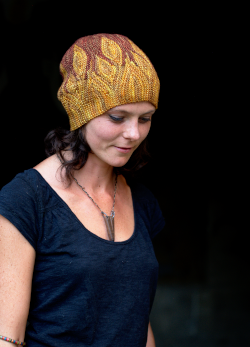 Elvira also tells of how knitting has helped her through her own personal struggles. One generation passes but another comes along. There are several alternatives available when shaping the shoulders on a garment, and this tutorial firstly compares a stepped cast-off, and then looks at two techniques for short rows – the popular “wrap and turn” and “German short rows”. There are six main tracks leading up to the peak of Mount Snowdon. Two of these, the Pyg Track and the Miners Track, leave from the Pen y Pass carpark, which, even in the middle of winter, fills early in the day. The two tracks head off in different directions, and whereas the Pyg Track starts with a climb, the Miners Track stays flat for quite a while. After some initial deviation, the two tracks run roughly parallel, Pyg Track looking down on the Miners Track as it skirts the larger lake Llyn Llydaw and then the smaller Glaslyn. 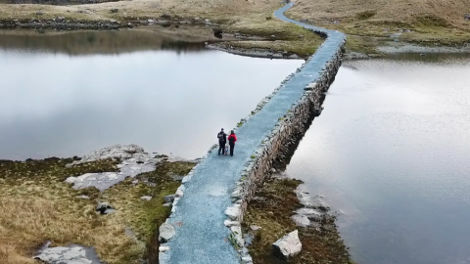 To us it is a fairy tale landscape, particularly the view down to the small bridge across Llyn Llydaw, but as its name suggests, this path was originally used by the workers to get to the Britannia Copper Mine in Mount Snowdon. Walkers are warned about the open mine shafts, and a few building remnants still remind us of Snowdon’s earlier role. You can get your sheet with the gauge calculations here. Your podcast is so great!! I have again waited for weeks to see your next episode!! What I meant is that it is like my new series, more into this than Downtown Abbey!! 8 and that says a LOT!!! And I learn something everytime. You are both so talented, great to hear Australian English as well as well spoken about the greatest subject of all knitting!!! 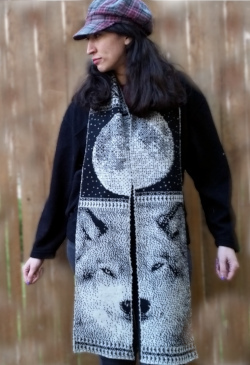 I have started on one of the scarf….But have 5 more sweater projects. I did feel for you when you admitted to missing that final chord!